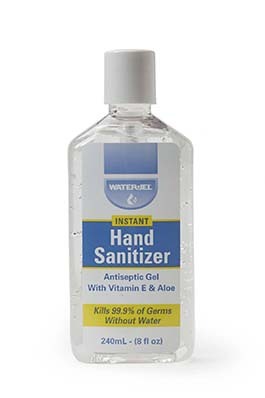 Water Jel Technologies - HAND SANITIZER 8 OZ. Economic size. 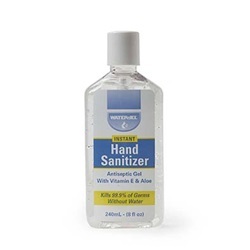 Instant antiseptic gel cleans hands and kills 99.9% of germs without water. Fits in medical cabinets and first aid kits. Also contains Vitamin E & Aloe.